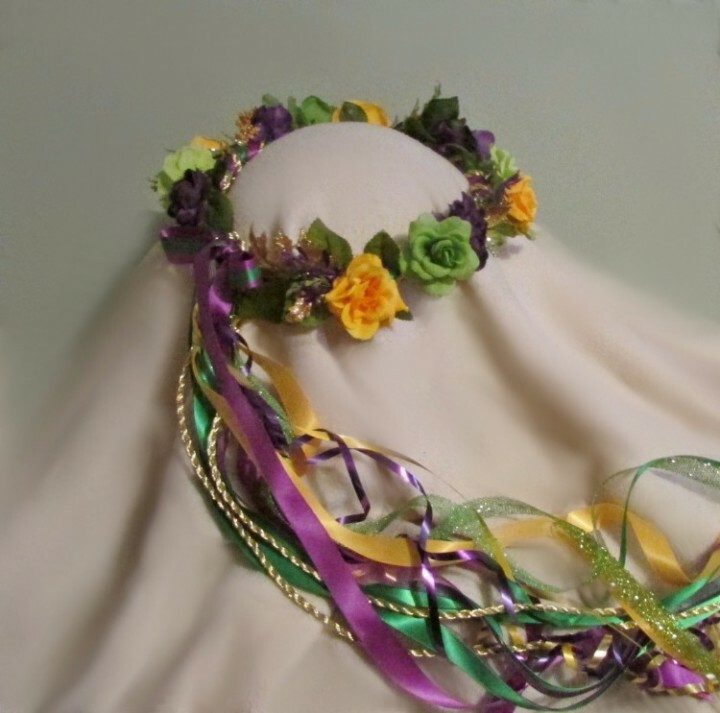 Fun Mardi Gras themed head wreath of silk flowers in bright shades of green, purple and yellow, accented with a little bit of gold. 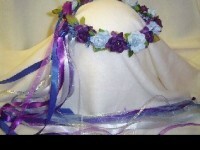 Ideal for theme parties, weddings, and other events. 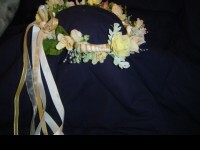 Beautiful coordinating satin and sheer ribbons, brightened with a touch of gold, all come together in back, with long flowing ribbon tails to complete the look. 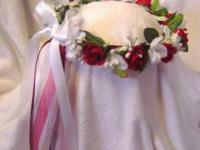 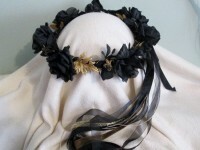 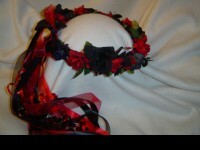 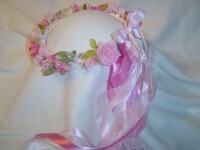 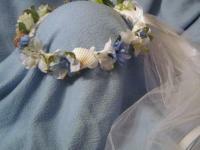 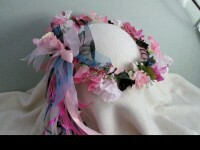 Head wreaths are wonderful for dressing up for the Renaissance fairs, perfect for weddings and as special gifts. 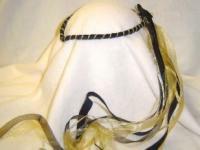 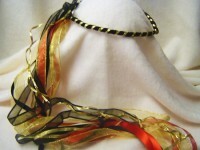 Great for dressing up a costume and can be hung on the wall or used as a centerpiece as well. 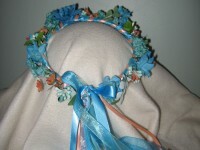 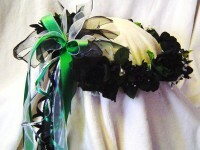 You can order a custom designed wreath in the colors and style of your choice.